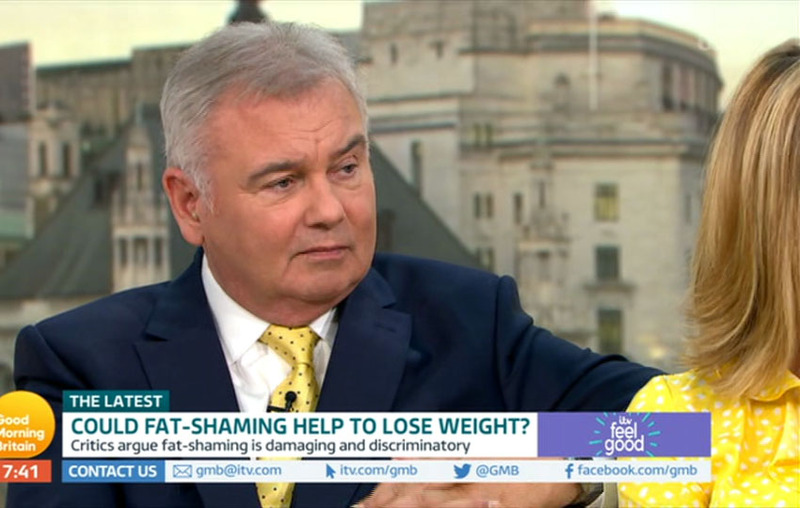 Eamonn Holmes was hit with an uncomfortable discussion on Good Morning Britain this Monday, when a health expert warned that he was too overweight. 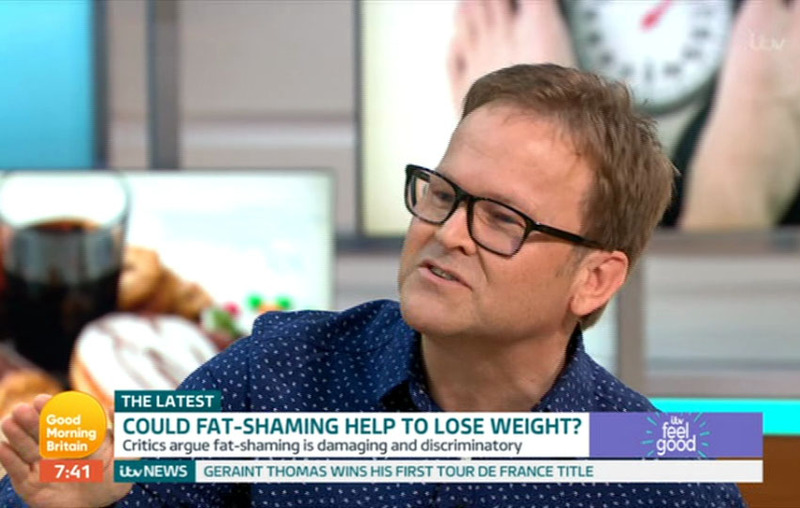 The programme had invited on Steve Miller, a weight loss expert, onto the show, to discuss whether or not GPs ‘fat-shaming’ their patients could help people to lose weight. Contributing to the discussion, Eamonn revealed that he thinks doctors should be able to comment on the size of people they see in their surgery. He went on to ask whether Steve, although not a doctor, would advise him to “lose two or three stone”, as a health professional. Steve Miller then went on to respond in a rather straight-forward manner, sharing his health warning with the TV host. Model Gemma Cruikshank was also on the show, and disagreed that calling people ‘fat’ could help their health – explaining that it could be detrimental to their motivation to shed the pounds. It’s not the first time Steve and Eamonn have come face-to-face to discuss the presenter’s health issues. On an episode of This Morning last year, Steve issued a similar warning to the star. In the past, Eamonn has vowed to slim down. However, he has revealed that wife Ruth has never been bothered by his size. But it seems his weight has played on his mind in the past, admitting that it’s changed how he shops for clothes.